I am the newly elected VP of my fraternity. I came in a year and a half ago as a sophomore in a complete rebuilding scenario. We are at a small school and currently only have 16 actives. The average “good” fraternity here has around 50-70 guys. Before I came in the type of guys that were here made us one of the few pretty much GDI fraternities here. All of those guys smoked pot and were pretty worthless so you can imagine our reputation around campus. Anyways we’ve recruited and cut dead weight to where now we only have 4 guys before me and the rest are all new guys, and I’d say we have about a 50/50 split between “fratty guys” and “non-fratty guys”. As you know image is one of the biggest things when it comes to pulling in new guys as well as working with sororities. What advice could you give me when it comes to trying to change the mindset of the guys we have to where we focus on recruiting more of the fraternity type potentials and less of the GDI friends that some of them seem to have? Also any rebuilding advice in general would be nice. After reading your question again, and reading Dennis’ reply below, I realize that I probably read too much into this question. I interpreted the question to imply that you believed you needed to recruit guys for superficial reasons to get your fraternity to the next level. That mindset will kill your chapter. I strongly believe that you need to measure the quality of the men in your chapter by their character – not their image. However, it is obvious you are committed to your fraternity and looking to take that next step. I apologize for my initial answer…. First, I commend you for expelling the brothers who don’t meet your standards. That is a very difficult thing to do, but was obviously the right thing as evidenced by your success. As Dennis references below, I advise quickly removing brothers who refuse to meet the ideals and commitments of the fraternity. Keeping dead weight around just prolongs the problem. To take the next step, I think it is essential that all the brothers sit down and discuss what is expected of a brother. All brothers need to buy into that vision. This will help you achieve a few things. It will obviously help you keep your brothers accountable to a set of standards. They will be defined and they will be clear. This will help your fraternity. Also, it will help you focus on recruiting the right type of guy. You will be looking for guys who meet this set of standards, and that will make recruiting easier. You will have predetermined what expectations you have for new members. That should aid you during fraternity recruitment discussions of why you should or shouldn’t take a guy. Above all else, I encourage you to not take guys who don’t meet your standards. If these guys make it into your fraternity, they will hurt you because they do not share the same vision as the rest of the brothers. This will cause an endless string of frustration and cause splits in your chapter. It will also hurt you during rush. A high potential recruit could be turned off by your undesirable brother. It would be awful to lose a future fraternity president over a guy you didn’t want anyway. About your image, don’t worry about it. Image is a by-product of opinions you can’t control. Focus on what you can control. You can control the quality of the brothers you have in your fraternity. You can develop relationships with individuals in other organizations (sororities) that will eventually turn into relationships between chapters. And if you focus on making yourselves and your fraternity better, I promise you the image issues you believe you have will go away. 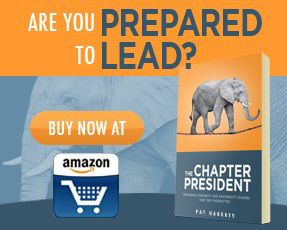 Also, if you haven’t done so, I encourage you to check out my book – The Fraternity Leader. This answers a lot of the questions you have – namely How to Recruit and How to Become Popular with Sororities. 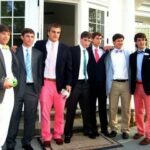 Why the Negative Perception of Fraternities? So after reading all of this, I guess that I am kind of glad I never saw the original answer. I realize I worded my question poorly, but then again I am an accounting major and conveying my message in a politically correct way isn’t exactly my strong suit. Dennis, I would like to thank you for responding in the way that you did. Those were the points I was trying to hit on. By “fratty” I meant quality guys who represent themselves well as well as hold a strong committment to brotherhood and excellence, and by “GDI” and “non-fratty” I meant guys that don’t have a strong desire to be a part of something bigger than themselves. While it is important to fulfill your personal goals , I personally only want members who are willing to dedicate themselves to something, at the risk of being redundant, bigger than themselves…Lastly, I do admit to having superficial goals, but to be honest, at my campus, the fraternities that do not focus at least part of their attention on their image do not do particularly well. Being a man who has purchased the book “The Fraternity Advisor”, I do recall something in there about representing yourselves well as part of the “Getting Sororities to like you section” (Or something along those lines). That is simply all I meant when discussing image. My fraternity went through a re-org about 10 years ago. The house at the time was full of drug addicts and just bad guys. I believe about 40 men were expelled by 7 good guys. They were threatened that the chapter would be shut down if they didn’t recruit enough to pay bills. What ended up happening was that they recruited a bunch of guys (I believe about 30) to pay bills. The next few years involved a continual re-organization: recruiting a lot of guys because they needed to fill spots ASAP and then cutting about half of them because they were crap. This took about 5-6 years. Now, my chapter is in the top 10 of our fraternity nationally, has had the highest grades on campus for the past 5 years etc. We look back at our re-organization as a rebirth, something that saved us in a way. 2) Find a member who you can mold into yourself to replace you. There will always be a need for someone to keep the goals of the chapter in mind. If you can’t find an individual like this, try to stay in close contact with the chapter/recruiting after you graduate. Dennis – you were right – my answer was poor. I thought about it and rewrote the answer. I agree with just about everything you said. I especially like how you reference recruiting guys and then building them up during their new member program. The goal is not to recruit a guy for who they are now, but for who they will become. This is the crux of the ‘fratty’ conversation. This, and any, chapter will be missing out on some very good guys if they only look at superficial qualities. However, if they look for guys that will make good friends and good brothers they will have a strong chapter. Maybe “fratty” wasn’t the best word he could have used, but I think you’re applying a different connotation to that word than I do, and I think different than he intended. Let me reword this for him, and kick in my two cents. This is a chapter that was previously filled with pot smoking drain on society terrible people who are/were an offense to their ritual, the fraternity movement, and possibly human life in general. You’ve argued in the past to expel guys for merely failing to meet their financial or participation obligations. While I want to run a smart business, I also want to be compassionate. On some level, I think cutting an otherwise good guy because he can’t meet some obligations feels like a betrayal of the ritual/brotherhood. I can do it when I have to, but I never like it. However, when a brother is paying his bills and showing up, but is himself poison to the ritual/brotherhood, then pulling the plug is a good thing. These guys did a very tough courageous thing and I’m proud of them. In striving for a solid foundation on which to rebuild, they ended up with only four guys. That’s scary! Most fraternities would have closed up shop. These guys didn’t. They care so much that they pressed forward to salvage this chapter. While they face a herculean challenge, I admire what they’re doing. The outside world still associates them with their disreputable past. Until they establish themselves through size, strength, and stability in their new identity, the quality guys they want will be drawn elsewhere and the trash guys that fit their prior identity will be pushed to them. This quality focus is one of the biggest things keeping them from backsliding; keeping the pain, sacrifice, tough choices, and hard work they’ve been through from being in vain. They quadrupled membership to 16, but that’s not nearly enough. They need a phased plan to be at 50-70 in two years. That they will select people that fit their new identity, believe in what their ritual is about, and with whom they’ll forge strong brotherhood is a foregone conclusion. Beyond that, they are rightly concerned with how their organization is outwardly portrayed – branding. They want to selectively recruit people who are a reflection of the quality they demand of themselves and that their ritual deserves. The physical reflection of that quality often manifests in what is described as “fratty.” It isn’t about brands. I really don’t care if a guy has a whale, fish, dog, sheep, elephant, or buffalo on his shirt or if he bought his polo from a department store. I care that he demands quality of himself. That he wants to portray that to the world shows confidence. That he wants to be a better man than the least common denominator is a mark of character. It’s about class and budding professionalism. The people that see caring about a quality public image as shallow vanity are the same ones that think you’re paying for your friends. They don’t understand who you are or why you do the things you do, and they never will. As long as you’re not so obsessed with image that you forget where it comes from or what it’s about, and as long as you keep your priorities straight, you should be fine. Anyway, this guy is asking how to find this quality/quantity balance in their unique situation; and, how in the midst of this struggle do they rebuild a chapter from scratch? The short answer is you can’t have your cake and eat it too. Not immediately anyway. We have to take a certain quantity of guys each year to successfully operate the business that is a fraternity. We are membership organizations in a finite college environment. There’s no getting around that. Our challenge is to make our numbers while selecting people who fit in with our shared values, who will adopt lifelong commitment to the philosophy of our ritual, and who have the personal potential to best advance our cause in society beyond graduation. That is priority number one for all fraternities. You cannot care about anything else until you are accomplishing that. If we’re supremely good at that, and depending on the supply/demand of the campus, we can be even more selective. We can pick guys who are already outstanding, &/or who are more outwardly reflective of their internal quality. That is always difficult to achieve. It takes many years of slow incremental improvement. From where a chapter like this is starting, they probably won’t get the chapter to that point before the people there now are gone. They have to focus on improving; not on reaching a set point that may realistically be decades away. Absolutely, sororities do care about the quality of guys, reputation, and image of fraternities they do things with. But, a 100 woman sorority will almost never do anything with a 16 man fraternity even if they’re all young versions of JFK. They’re going to look mostly at larger fraternities because the numbers and ability to finance events match up better. Then they’ll choose the better quality among that group of chapters. While quality is very important, you need to focus on growth. A chapter like this one cannot compete heads up against the best chapters on campus for the best quality recruits. They have a lot more going for them. Don’t surrender to them obviously, but make the best of your situation. To make headway, you’re going to have to behave like a colony. Go outside the rush system to find people of quality who are not looking to go Greek. Through summer and hometown recruiting, make friends with quality guys before they meet your competition. You’re going to have to take some guys who are not initially the image you want to project. Get good at using pledgeship to shape them. Shape your actives too. It’s not hard. You don’t need authority over someone. You just need to apply social pressure to get them up to standard. Some guys will be more responsive to that than others. I would tell you that you’ve gone through this transition away from a bad identity, but it sounds like you have not set down in a retreat and decided exactly what your new identity will look like. It sounds like you have a mixed bag of divergent guys. If everyone got on the same page about the kind of guys you want to recruit, maybe they’d be better at finding the right targets. Or, maybe they’d compromise you to a middle ground that is more realistic of where the chapter is right now and you can quit overshooting at the cost of numbers. Settle your identity crisis as a group and I think you’ll reach better cohesion. Speaking of colonies, you may already have a charter, but you’re rebuilding a chapter from scratch. Your national expansion team is the best resource on how to do that. Have long talks with them. I would suggest you ask for a copy of their process and try to voluntarily meet the same requirements a colony would have to do to get chartered. You won’t have the same amount of direct support from them in terms of visits and training, but you also won’t be under the gun to meet standards like a colony is. By doing something like that, you will be able to use the chaos of this situation as an opportunity to start fresh with the right operating model. Lastly, I’d mention advisory support. You don’t need some guy’s name on a roster to check some box. You really need an advisory board that can lend the expertise you don’t have. You want a team of MBAs, accountants, lawyers, and all around experienced business professionals. They can show you how to adapt what you’re doing to run a smarter business model. They can look in from the outside with the benefit of life experience and make good judgments about things that you’re having trouble with. They can take the long view of what needs to be done to get the chapter where all of you want it to be in 5-10-20 years instead of just next year. Work with your alumni and nationals to get that in place. It might take a couple years of consistent work, but hopefully you can pull it together. Those guys will help you take the next steps from mid-tier to a high operating standard, and hopefully they can make your life easier in the process, if you’ll trust them.